MOUNTAIN RVING AT ITS FINEST! You'll love our peaceful & welcoming park. Our 3500' elevation is ideal for No. California RVing-perfect summers for hiking, fishing & golf. Easy drive to Lassen Ntn'l Park & Lake Tahoe. We love groups & clubs. Big rigs too. Always a great park to come to with our Good Sam group The owners are great & very accommodating.We really have a good time when there are car races. A great park to enjoy with your RV group or friends. Nice, small, quiet and comfortable park. Sites are ample and can accommodate large Class A Motorhomes. The owners are very active running the park, very friendly and take good care of the campers and the park. Roads and sites are paved and there are plenty of trees around but not too many... you can still get satellite. Phone reception is excellent. The wi-fi is spotty at times and could use an upgrade. Park is dog friendly and has a dog wash... no dog run, but the county fairgrounds are next to the park with plenty of space to let your dog have some fun. There are a few (very few) full time residents who are friendly and neat with their site. Bathrooms are small with coin operated showers, but it is a small park. They just constructed a "gathering area" with a communal grill and gas fireplace... nice place to meet your neighbors. Quincy is a small town with VERY limited restaurants, two grocery stores and one hardware store. 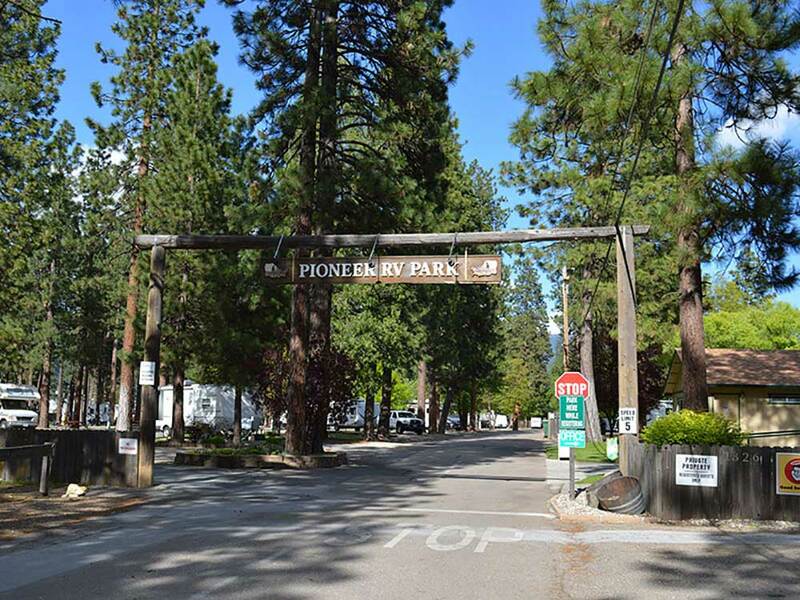 The location is in the middle of the Plumas National Forest with plenty of lakes, rivers, logging roads and outdoor adventures. We were here about a month on a pull thru site on a 45' Class A Motorhome. We very much enjoyed our stay... everyone made us feel like part of the family. The only reason to not give them a five rating is the lack of a pool or hot tub. In summary, we highly recommend the park and the location, especially if you like outdoor activities... We will definitely be back!!! Beautiful campground. Rustic and Pines all over.